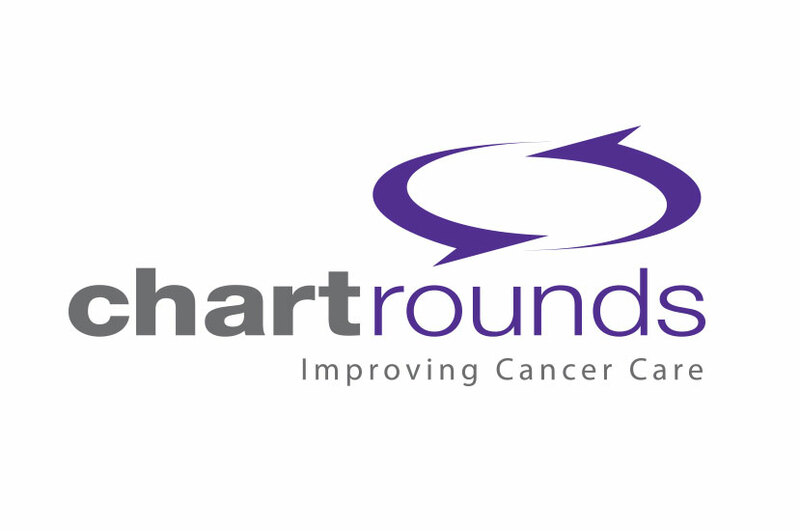 Saving lives one at a time via virtual “rounds”, Chartrounds was created as a multipartner venture among Johns Hopkins, Duke, and Vail Valley Medical Centers, and connects world renown experts with practicing oncology radiologists and surgeons. The Chartrounds logo design features a simple font and color pattern, with the swirling symbol above the company name representing the collaboration-focused nature of the company. Chartrounds is dependent on connectivity, which we sought to convey with the cyclical design of the arrows about the title. Contrasting the grey and purple helps give the design more depth and sophistication. This design is dynamic and professional, just like Chartrounds.